Kirsty hopes to see her students develop a passion for Christ and a passion for Christ-likeness in those they minister to. She has worked for the Universities of New South Wales and Sydney as a tutor in history and philosophy of science, and has taught at Moore Theological College. 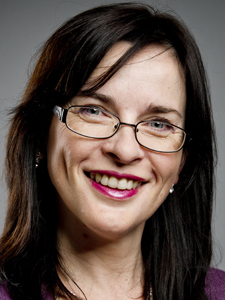 Kirsty has also worked in Christian publishing as an editor and writer, and was for ten years on the Board of the Australian Fellowship of Evangelical Students. Her many publications cover the whole area of relationships between science and religion. She has also written on psychology, feminism and the family for both a popular and academic audience. Kirsty has family in Australia. At any time she might be found living with an assortment of cats, dogs, rabbits, guinea pigs and birds.